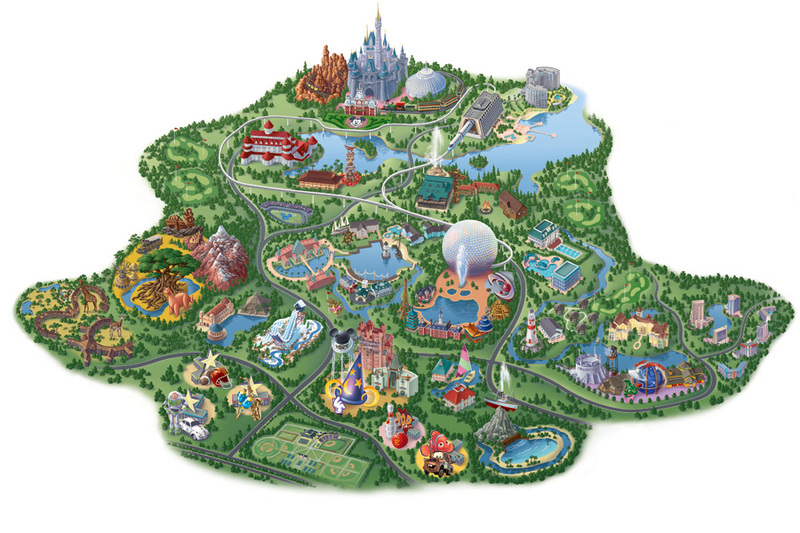 One thing that you can count on when it comes to Disney is that they’re always trying to improve Walt Disney World in some manner, shape, or form. Our last trip to Orlando was no different. 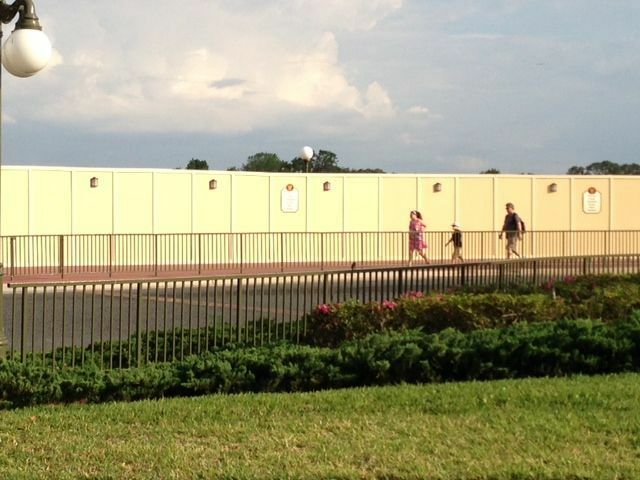 As we arrived at the Magic Kingdom, we discovered that a mammoth construction wall had been built between the bus stop and Seven Seas Lagoon. I don’t know about you, but curiosity ‘kills’ this ‘cat’, so, as usual, I went in search of answers. What in “The World” we’re they up to now? In most cases, all you need is a friendly Cast Member and a few minutes of their time to chat. This time, the bus driver that chauffeured us back to our resort fit the bill. Folks, when it comes to “The Wall”, a new bus loop is being built. 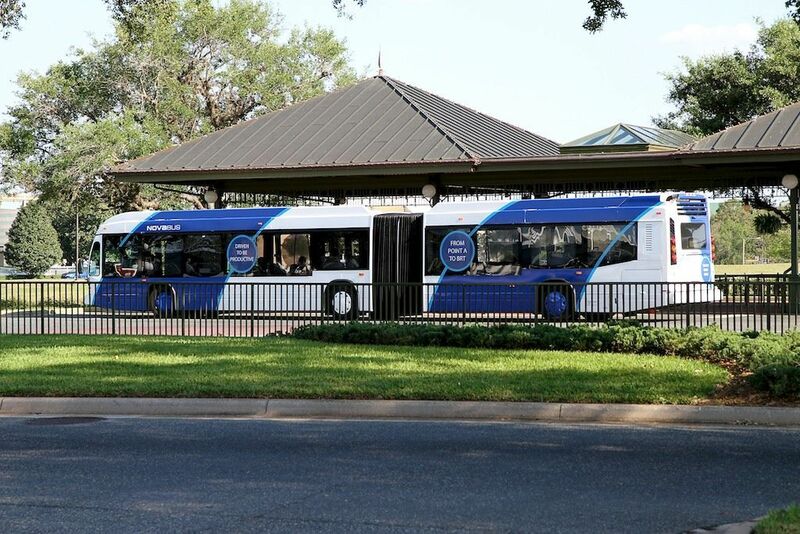 It will be the Magic Kingdom’s third bus stop and will be tailored specifically for WDW’s twelve, soon-to-be new, articulated buses. If you aren’t familiar with articulated buses, they are essentially double-buses that comprise two rigid (bus) sections linked by a pivoting joint. Think of a two-piece bus that bends in the middle! 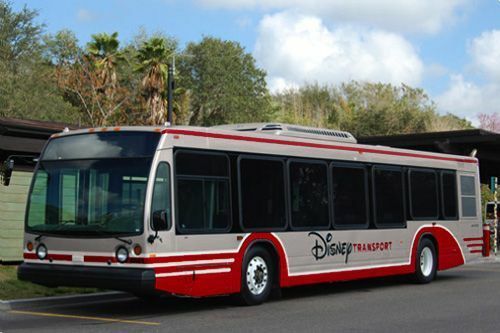 Articulated buses, obviously, come with a higher passenger capacity, while still allowing the bus to maneuver adequately on the roads, and, boy, does Disney have the right task in mind. These buses are mainly targeted for use to service the massive crowds of guests that stay at Disney’s Value resorts – Pop Century, Art of Animation, and the three All-Stars. Given the long lines we’ve waited in when we’ve stayed at any of those places, this is very appropriate, let me tell you. Could these tandem buses be used to pick up and deliver guests elsewhere? Our driver speculated as to the potential for use at Port Orleans but was unsure as to whether or not they would have room to maneuver. I would ask the same about Caribbean Beach or Coronado Springs, perhaps. It is expected that a select portion of the driver force will be trained to drive these types of buses in the near future. Our Cast Member was full of other prospective details, as well. For example, Disney is evidently expanding their team of drivers. Currently at about 1,600 drivers, they are, allegedly, trying to grow the force to near 2,000. 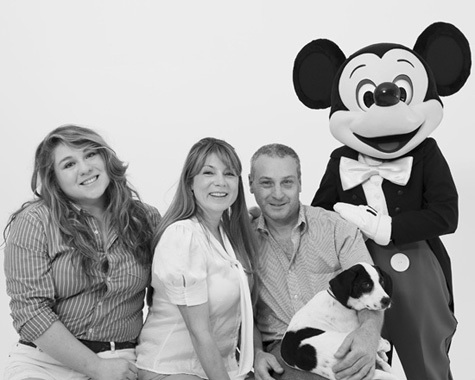 Plus, clearing up another misconception (that I had, at least), the resort bus drivers ARE Disney Cast Members. 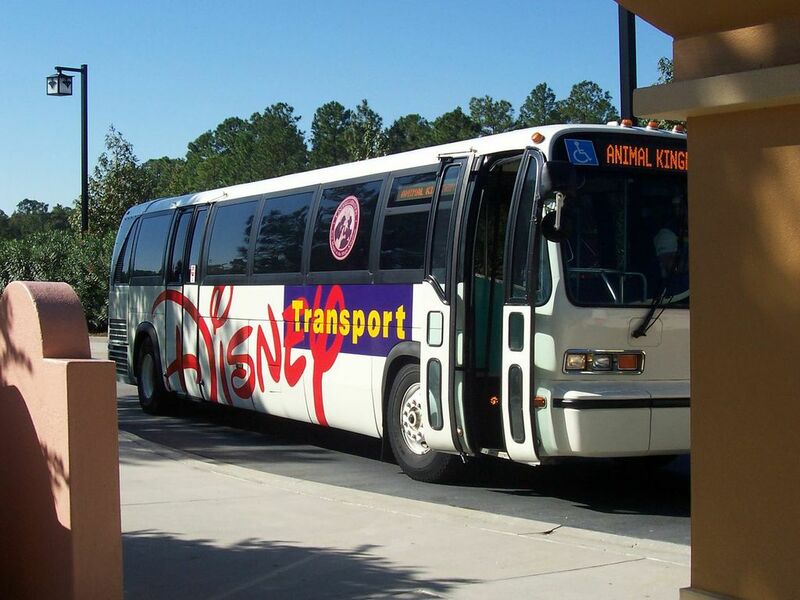 We had thought that WDW had out-sourced their various bus services to Mears Transportation Group a long time ago. Apparently, only Disney’s Magical Express and the Disney Cruise Line drivers are employed by Mears. And, according to that Cast Member, Disney might be taking those drivers back into the fold! Have you already heard the stories (and seen the pictures) of Disney’s new paint scheme for the WDW resort buses? It is a ‘red and silver’ style that has been applied to two buses already, according to our bus driver. 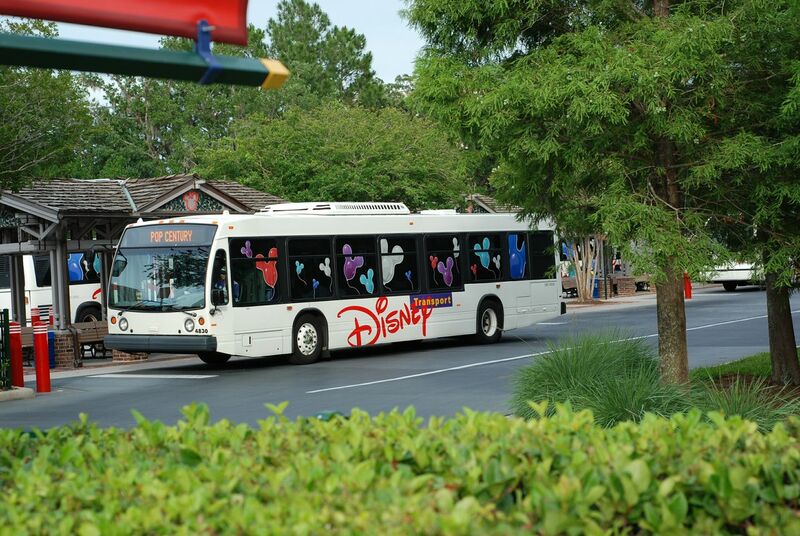 In addition, when it comes to the resort buses, WDW is angling to add 40 of the new-style buses to their fleet. You know the ones … they’re “boxy” in shape with a big wide aisle down the middle and seats against the side of the bus. In the meantime, all but six of Disney’s older buses will be retired. Those few will be kept to help out in peak seasons. What do you think, folks? Have you seen the buses with the new red and silver paint scheme as yet? 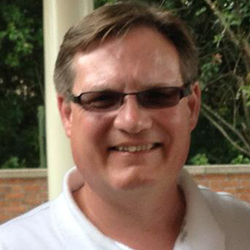 What do you think about the idea of using articulated buses to service the Value resorts? Leave us your comments and let us know! This entry was posted in Disney Transportation, Walt Disney World and tagged all stars, bus driver, bus loop, bus stop, buses, caribbean beach, cast member, century art, coronado springs, curiosity, few minutes, lagoon, magic kingdom, massive crowds, piece bus, seven seas, tandem, walt disney, Walt Disney World, wdw on May 15, 2013 by John Donahue. 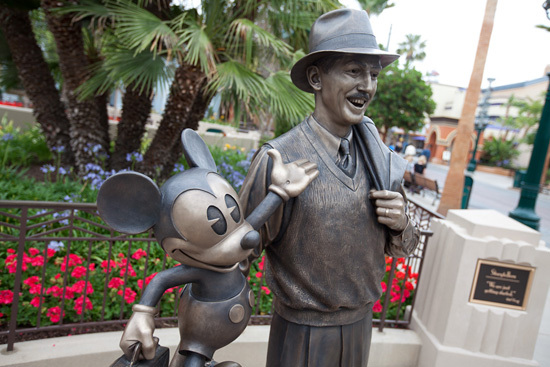 Even if you don’t have a green thumb, there is a guided tour at Disneyland park that will really grow on you! It’s called “Cultivating the Magic.” During the two-hour tour, guests learn how the Disneyland Resort horticulture team uses flowers, plants and trees to help create the stories of each land. 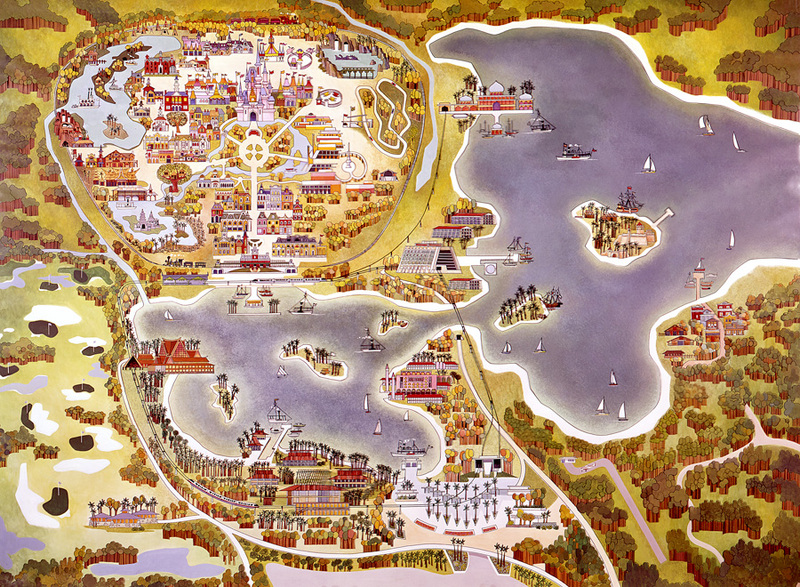 Tour guides also tell tidbits about Imagineer Bill Evans, the original creator of Disneyland’s landscape. To experience the tour for yourself, just let your Kingdom Magic Travel Agent know when you book your Disneyland vacation. Tickets are available up to one month in advance and the tour begins Saturdays and Sundays at 9 a.m. and Mondays at 10 a.m. This entry was posted in Disney Parks, Disneyland, Disneyland Park and tagged bill evans, camera crew, cast member, developers, Disneyland, disneyland park, disneyland resort, disneyland vacation, flowers plants, glimpse, green thumb, guided tour, horticulture, kingdom magic travel, landscape, plants and trees, saturdays, sneak peek, tour guests, travel agent on April 30, 2013 by John Donahue. Happy Halloween! On a stormy Halloween night in 1939, a bellhop and four others stepped aboard a Hollywood Tower Hotel elevator and into the fifth dimension. To mark the anniversary of their disappearance, Disneyland Resort cast member Bryan Higashi will tell you about his role hosting guests at The Twilight Zone Tower of Terror, whenever they drop in! This entry was posted in Disney California Adventure, Disney Parks, Disneyland, Video and tagged anniversary, bellhop, cast member, disappearance, Disneyland, disneyland resort, fifth dimension, Halloween, halloween night, happy halloween, higashi, hollywood, hollywood tower hotel, hotel elevator, tower of terror, twilight zone tower, twilight zone tower of terror on October 31, 2012 by John Donahue. Disney California Adventure park has been selected “2012 Park of the Year” by Amusement Today, a publication that covers amusement park news and trends. The publication’s Golden Ticket Awards, recently held at Dollywood in Pigeon Forge, Tenn., honors the “best of the best” in the amusement industry. Accepting the award on behalf of Disneyland Resort cast members, and Imagineers, was Mary Niven, vice president of Disney California Adventure park and Guest Services, and Kathy Mangum, Walt Disney Imagineering executive producer. This entry was posted in Disney California Adventure, Disney News, Disney Parks, Disneyland and tagged amusement park, amusement park news, amusement today, california adventure park, cast member, creativity, disney california adventure, Disney California Adventure Park, Disneyland, disneyland resort, dollywood, dollywood in pigeon forge, executive producer, golden ticket, imagineers, mangum, mary niven, pigeon forge tenn, slade, walt disney on September 20, 2012 by John Donahue. We’ve already learned how a horse lands a job at the happiest place on Earth – so now we move on to how he gets ready for his role at Disneyland park. Once the horse is selected, his education begins at Circle D Corral. 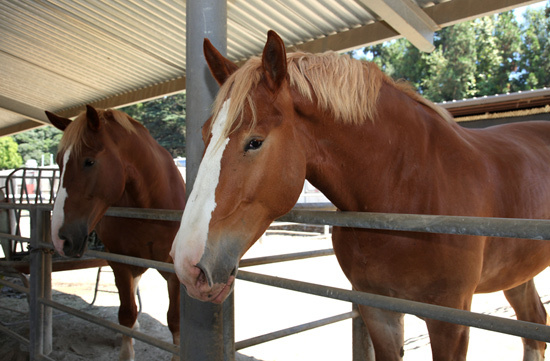 The two newest horses at the corral, Owen and Gus, are learning the ropes right now. When they are finished, they will have gone through approximately three to six months of training to get show ready, to get to know the Circle D cast and to allow the cast to observe their progress and interactions. “Training here is very progressive,” says Alan Cooper, Equine Trainer Leader at Circle D Corral, meaning that once a horse achieves a training goal, he moves on to the next level – and only when he’s comfortable with what is being taught. Once the new recruit learns all he needs to know at the corral, it is time to get used to working in the park. He starts with trips around the perimeter of the park, getting used to all the sights, sounds and movement of backstage activity. When he’s ready, it’s time for dress rehearsals on the big stage: Main Street, U.S.A.! In the last post of this series, we’ll learn how the new cast member gets ready for his big debut in the park. This entry was posted in Disney Parks, Disneyland and tagged alan cooper, cast member, debut, Disneyland, disneyland park, dress rehearsals, education, equine, gus, happiest place on earth, horses, job, learning the ropes, new recruit, next level, perimeter, place on earth, six months on August 30, 2012 by John Donahue. Characters fly through the air – even bar-to-bar – during our Festival of the Lion King shows at Disney’s Animal Kingdom. And cast member Joey Hagerty is one of the performers who makes it look so easy. Joey is a 2008 Olympic bronze medalist and today he’s sharing how teamwork and gymnastic skills play key roles in putting on a successful Disney Parks show. This entry was posted in Animal Kingdom, Disney News, Video, Walt Disney World and tagged Animal Kingdom, cast member, disney, disney parks, disney world resort, festival of the lion king, fly, gold, hagerty, joey, olympic bronze medalist, olympic gymnast, teamwork, walt disney, Walt Disney World, Walt Disney World Resort on August 10, 2012 by Rick Howard. 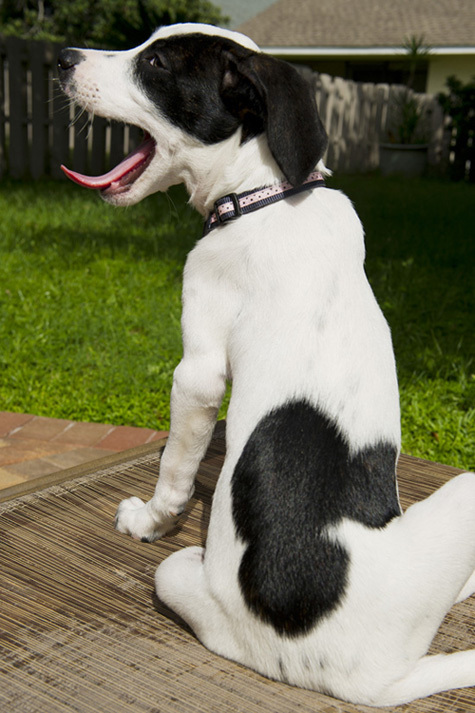 This entry was posted in Disney News, Orlando News, Video and tagged aguerre, cast member, catahoula, central florida, daughter nicole, disney cast members, disney parks, disney walt, dog lovers, female pups, husband and wife, labrador, lillian disney, Mickey Mouse, pekingese, photo studio, poodle, poodle mix, pup, walt disney on July 31, 2012 by Rick Howard.